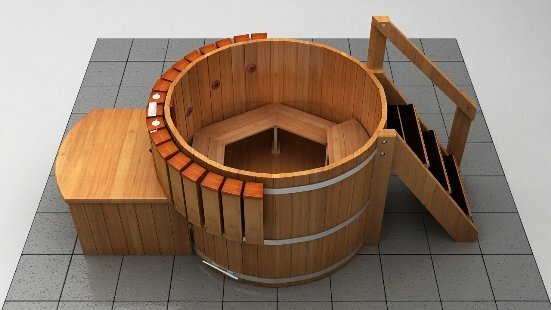 Most Popular - Our Flagship hot tub stands 48" tall and comes in 4 different diameter sizes with 6 heating options to choose from. The hexagon seating includes a higher "step in" seat which is also good for children or just "cooling off". Made from 100% Grade "A" Clear Western Red Cedar. 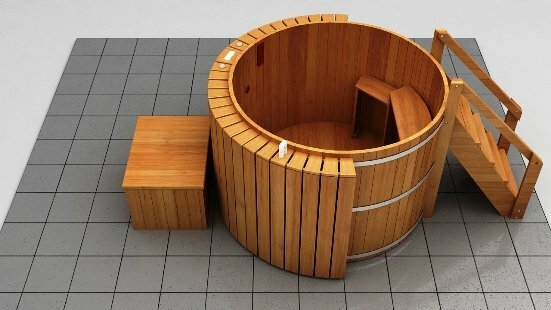 AquaSize and Water Therapy- The hydrotherapy tub is available with 2 heating options and sits 5' tall. Features full body hydro therapy massage. This tub has minimal seating capacity as the bulk of the tub is open for standing movement and aqua size aerobics. 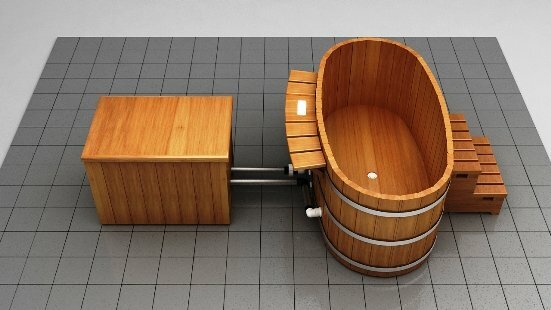 Japanese Soaker Tub - The Ofuro tub is ideal for 1 or 2 persons and originates from the spiritual Japanese tradition of mind and soul to create a Zen Experience. Available in 3 heating types with optional hydrotherapy jets.